"So you pick a side and you say ‘OK this was a pretty unpleasant situation.’ And then it asks, what was your emotional energy?" says Neumann. Identifying the emotion helps people understand what they are feeling. This can help people regulate related issues like depression, anxiety and aggression. "You can’t control what you don’t know, that’s kind of my motto, and our emotions effect every part of our life, it’s what helps us connect with people," says Neumann. 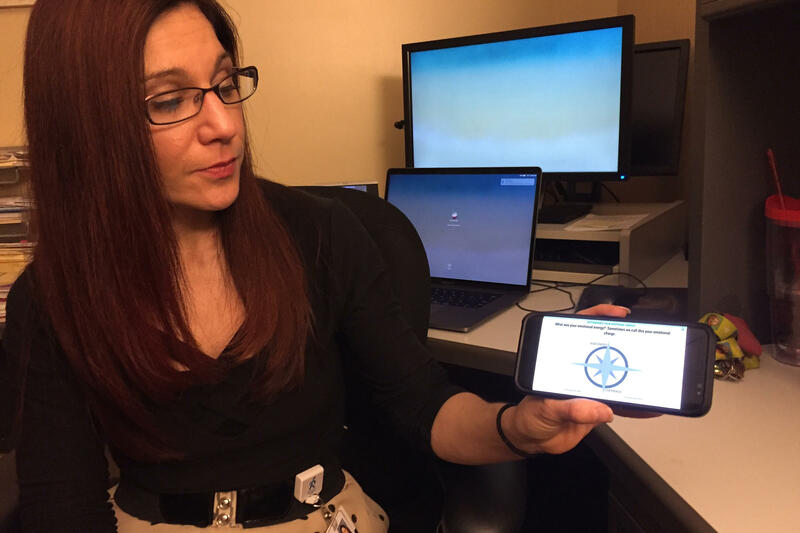 The app My Emotional Compass is also involved in a new study that started this week. Neumann says a previous study found positive results. "Not only did we find that their awareness improved but we found overall better emotion regulation, more positive affect, reduced anxiety and aggression," says Neumann. She estimates says between 30 and 60 percent of TBI patients experience alexithymia. The app helps them redevelop their emotional vocabulary. "This kind of serves as a prerequisite or a complement to some of the existing programs that may help boost their effectiveness," says Neumann.